As we bid farewell to the holiday season, it’s a good time to take stock of the gifts we received—and the gifts we gave. Conserving our natural resources is one of the ways we can give back to our children, communities, and economy for years to come. Conservation easements are gifts that keep on giving. They keep agricultural lands working for future generations and benefit wildlife, water quality, grasslands and soil. A conservation easement is a voluntary legal agreement between a landowner and a qualified organization, like a land trust, that compensates landowners for placing some restrictions on the use of a property in order to protect its natural values. For instance, easements are sometimes designed to limit subdivision development. This helps keep farms and ranches intact, ensuring our nation’s food security. Producers also use easements as a way to stay sustainable and profitable, or as a tool for passing on their land to their children. Through the Farm Bill, USDA’s Natural Resources Conservation Service (NRCS) provides financial and technical resources that help landowners and partners protect the places that matter. This year, NRCS plans to invest $250 million through the Agricultural Conservation Easement Program (ACEP). ACEP focuses on conserving our nation’s most productive grasslands, wetlands and agricultural lands by providing funding to conservation partners to purchase easements on private working lands. “Protecting these lands preserves our heritage, natural resources and open space,” says Tom Hedt, Acting State Conservationist for NRCS in Montana. Eric Hansen, one of ACEP’s biggest supporters in Montana, agrees with that sentiment. Hanson is working with NRCS and The Nature Conservancy to place an easement on his ranch in Dillon. “I want my daughter to run this ranch someday,” said Hansen. “I want this to be a working ranch and that is why an easement appealed to me. It needs to stay a ranch like it is, for as far as you can see, a ranch, one ranch. 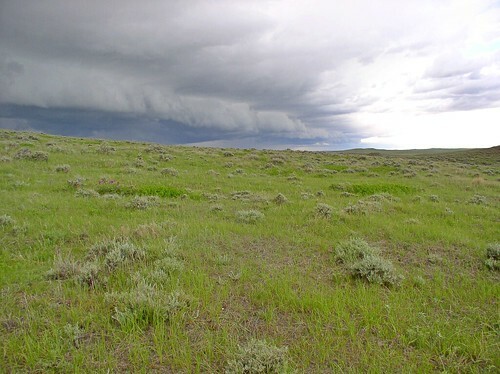 In Montana, agricultural land easements are also a large part of the NRCS-led Sage Grouse Initiative’s strategy for addressing threats to the imperiled sage grouse—especially in areas where there’s a high risk of cropland conversion or development, which reduce sagebrush grazing lands and fragment habitat. Certain ACEP easements compensate landowners for maintaining the healthy, diverse native plantsthat sage grouse and 350 other species rely on, while providing grazing resources. Other types of easements enhance the wet, green habitats that birds, wildlife and livestock need during the West’s hot, dry summer and fall. 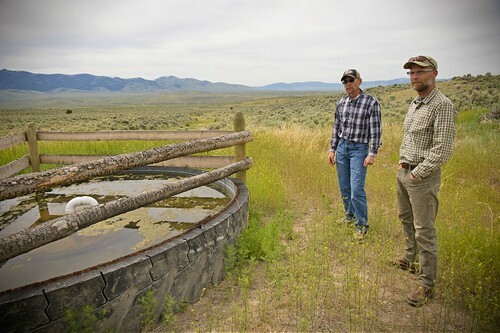 In 2017, Montana NRCS, landowners and land trust partners collaborated on more than 90,000 acres of easements in sage grouse habitat totaling around $22 million—the most acres protected of any state and one-third of the national total for NRCS easements. Montana NRCS owes much of its success to incredible local partners, whose hard work is paying off for natural resources, ranchers and communities. Conservation momentum is on the rise in Montana and across the country. Help start 2018 off with a flourish by spreading the word that conservation easements are the gift that gives forever. Contact your USDA service center to learn more about financial and technical resources available for agricultural easements. Beautifully protected, land like this has been designated as part of Montana’s core area for ACEP over the next several years.